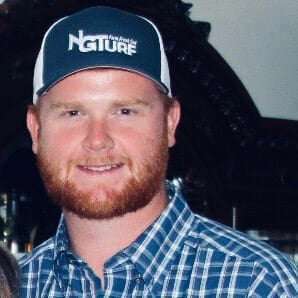 Farm manager Nathan Kirk began working for NG Turf in 2015. He earned a bachelor’s degree in diversified agriculture and an associate’s in poultry science with a minor in agriculture business. Nathan enjoys the farming aspect of his work and the environment at NG Turf. He is a member of the NRA, the Georgia Cattlemen’s Association, and the National Cattlemen’s Beef Association, and in his free time, Nathan enjoys hunting, fishing, camping and building.